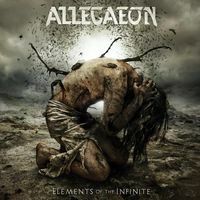 With a genre stuffed to the brim with countless copy cats and pretenders, ALLEGAEON have come to the table with a dynamic, memorable and focused take on extreme melodic metal. Youll find just as many slow grooves and hook-laden riffs as you will blast beats. This is a band that focuses on song writing and less on making music into an athletic speed competition. Their music is rounded with an intellectual edge thats forged by the bands collective musical prowess and polished by Ezra Haynes thought provoking lyrics. Haynes adds: "The concept of Fragments of Form and Function is in one way or another science related theories. Some of the topics we touch base on are cryonics, stem cell research, evolution, pharmaceutical structure and so on..."